Are you interested in learning modern and contemporary dance? Have you been looking for a physical outlet that also connects you with your creativity? Have you danced in the past and have been itching to move again? In this class, I invite adult movers to develop body awareness, artistry, and joy through contemporary movement lenses. The movement explored in this class will be a mixture of various dance forms including modern, contemporary, and improvisational dance techniques. Class will culminate with a bit of choreography and a mindful cool down. Join us as we coalesce different movement modalities and people together into one room to create beauty and joy. Let’s share this movement experience together! This will be a vibrant class in a safe, compassionate, non-competitive, non-judgemental environment. Previous contemporary/modern dance experience is not required. * Note: Unfortunately, the dance studio is not wheelchair accessible at this time. Curious about these dance terms? Did you know that "modern dance" and "contemporary dance" are related but are not synonymous? Meghan Carmichael is a dance artist based on Cape Cod. 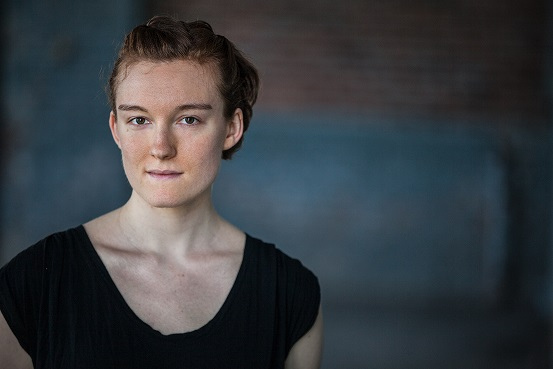 She began her dance studies on the Cape and throughout New England, and received her BFA in Contemporary Dance from the University of North Carolina School of the Arts in 2012. Her professional development continued at Impulstanz International Dance Festival in Austria, Bates Dance Festival (BDF), Gibney Dance, and with the Cunningham Trust, Limon Company, and AXIS Dance Company. Her career has brought her to Europe, New York City, Boston, Providence, and California. She is currently a company member with Ali Kenner Brodsky & co.
​As a teacher, she has been on faculty at Festival Ballet Providence, Providence Ballet Theater, Cape Cod Dance Center, and an adjunct at Brown University, Dean College, and the Moses Brown School. She developed the "Dance in the Community" program at the Moses Brown School, where she mentored high school students while teaching diverse communities through physically inclusive dance. Her choreography has been presented at Brown University, Festival Ballet Providence, AS220, Bates Dance Festival Young Choreographers Showing, and The Dance Complex in Boston. In 2017, she was a recipient of the New England Dance Fund Grant through the New England Foundation of the Arts. She also founded "Near and Far: Collaborative Art Project​" on Cape Cod, MA. Her class structure integrates inclusive physical studio practice based in specific traditional American Modern/Contemporary dance techniques (Cunningham, Limon, and Nikolais/Lewis), somatic principles, Safety-Release technique, and CONTINUUM technique, while also proposing investigative methods from Forsythe movement modalities, Nancy Stark Smith’s contact improv “Underscore” principles, mindfulness meditation, and reiki. In addition, she has studied with AXIS Dance Company, in Oakland CA, about their integrated, physically inclusive dance practices. She is dedicated to develop dance practices to be accessible, working with individuals to help them feel safe as they explore the movement of their body. As a dance artist, educator, and administrator, Meghan is passionate about developing projects centered around inclusive dance practices and community support through the arts.